We, like many other organisations, are using heroku as the deployment server for our project open event organizer server. Things are pretty simple and awesome when your project is in its beginning phase and things run pretty smoothly. But as your project grows, there comes some server problem. And one of the biggest problems as your project grows is memory. Now since various packages have a different amount of memory assigned to you in case of hosting in generic servers such as heroku, so it might result in memory quota exceeded. Recently, we faced such a problem. 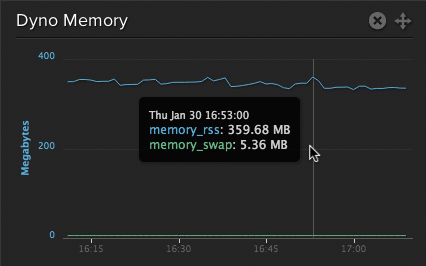 R14 - Memory Quota Exceeded. Took us quite some time to understand what and why and how this occurred. So let me share a few things I found about this error. Too many migrations - Sometimes too many migrations may lead to memory quota being exceeded while migrating your database. Too many SQL Queries - If there are too many unnecessary and redundant SQL queries then it might result in the memory quota being exceeded at run-time.